As the fragile peace in Yemen holds and with serious food insecurity concerns persisting, the European Union (EU) and FAO have announced new EU funding of EUR 5.9 million (USD 6.7 million) to support the UN agency’s work to build the country’s capacity to monitor threats to food security and collect key data on hunger and malnutrition. Accurate, comprehensive data/information on threats to livelihoods and households’ food security status are critical to effectively target humanitarian assistance to where and when it is most needed. 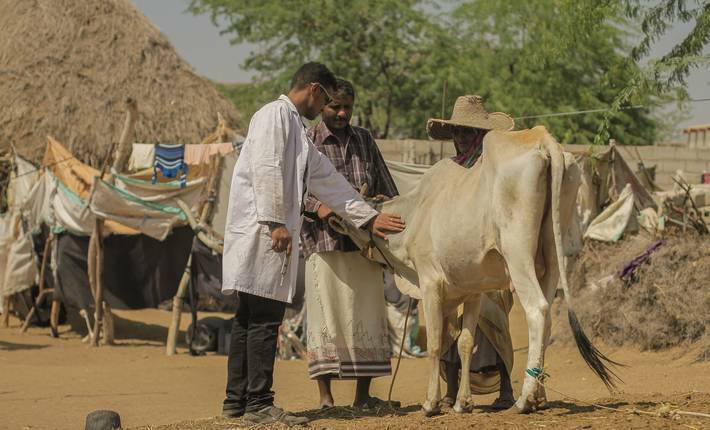 FAO’s efforts also aim to improve Yemen’s ability to monitor emerging threats to food security and livelihoods, such as poor weather or crop pests and diseases, so that appropriate livelihood support – irrigation services, or feed for livestock, for example – can be provided, before impacts are felt. “Availability of reliable and timely data not only means we can respond better when crises impact food security, as is the case now – it is also the foundation on which the government, humanitarian and development agencies can build up people’s resilience, to withstand future food insecurity,” said FAO’s Country Representative in Yemen, Salah El Hajj Hassan. “Unfortunately, trends indicate that recurrent hazards and shocks will continue to threaten Yemen. But, if we support people to build up their resilience, they will be better positioned to cope with these adversities, thus averting the threat of hunger and humanitarian crises,” he added. FAO support will be provided to different government institutions including the Governorate Focal Units, Food Security Technical Secretariat of the Ministry of Planning and International Cooperation, Yemen’s lead agency for collecting and channeling food security information to other government institutions, development partners, donors and communities. These efforts will build on the EU-FAO’s successful experience in strengthening the capacity of local food security data-collection units in 13 governorates during the 2013-2018 period. The new EU funding will now allow extending the support to the nine remaining governorates, ensuring the establishment of the Governorate Focal Units and Food Security Information System across all of Yemen.